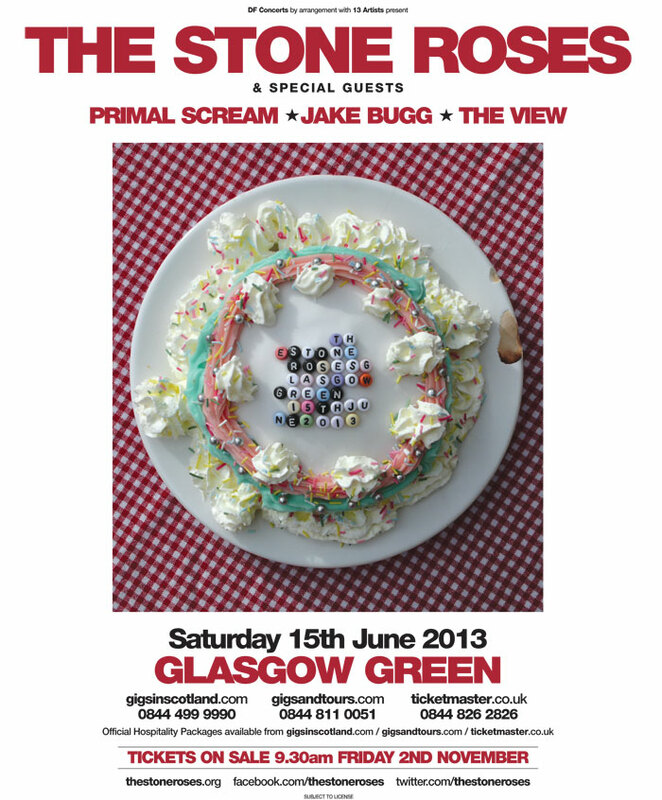 The Stone Roses have announced the support acts for their upcoming gigs this summer. 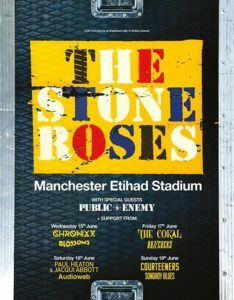 All of the Manchester gigs will feature Public Enemy as special guests. Want to see the Roses live? 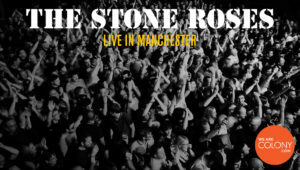 Well here’s a chance to win 2 pairs of tickets to see The Stone Roses at their sold out gig in Manchester on Saturday 18 June. 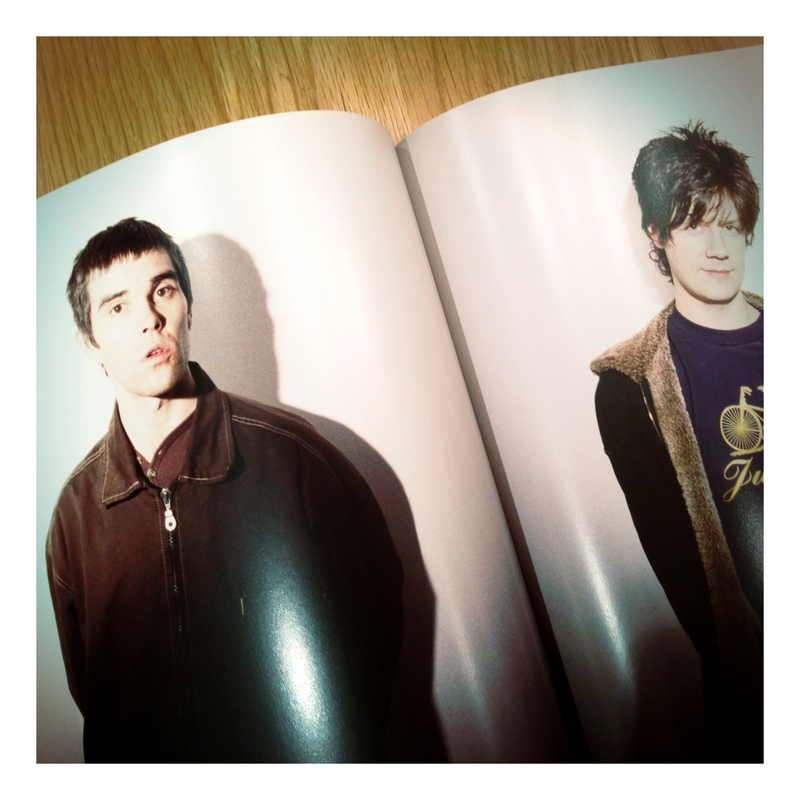 2 lucky winners will get a pair of tickets each to see the iconic band on their home turf and runners-ups will receive an official limited edition t-shirt. 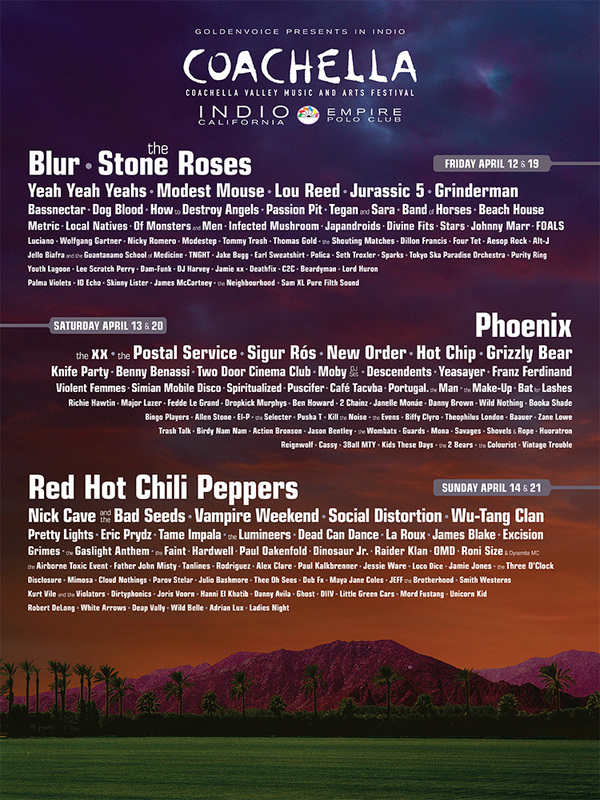 The Stone Roses will headline Coachella Festival on Friday 12th April and Friday 19th April. The annual festival in California is the first American gig for the Roses since they reformed in 2012. 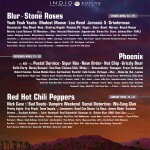 Coachella is held in the desert near Palm Spring and runs 12-14 April and 19-21 April. 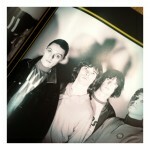 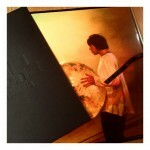 The recently released Stone Roses photo collection by Dennis Morris is an extensive anthology of his work with the band. The collection features early studio shots with the band on the cusp of breaking, extensive in-performance shots of Spike Island and Glasgow Green right through to studio shots of the band around the Second Coming era. 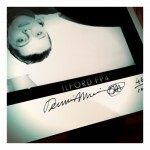 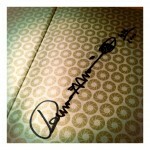 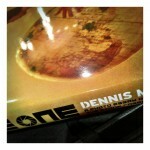 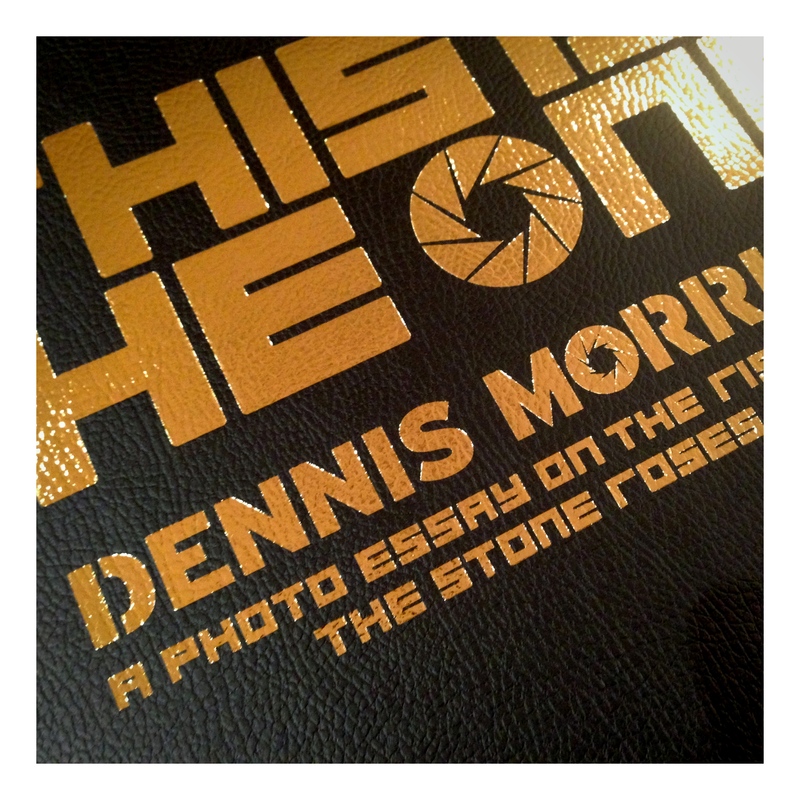 The books have been numbered and signed by Dennis Morris, with a limited to a run of 1000. 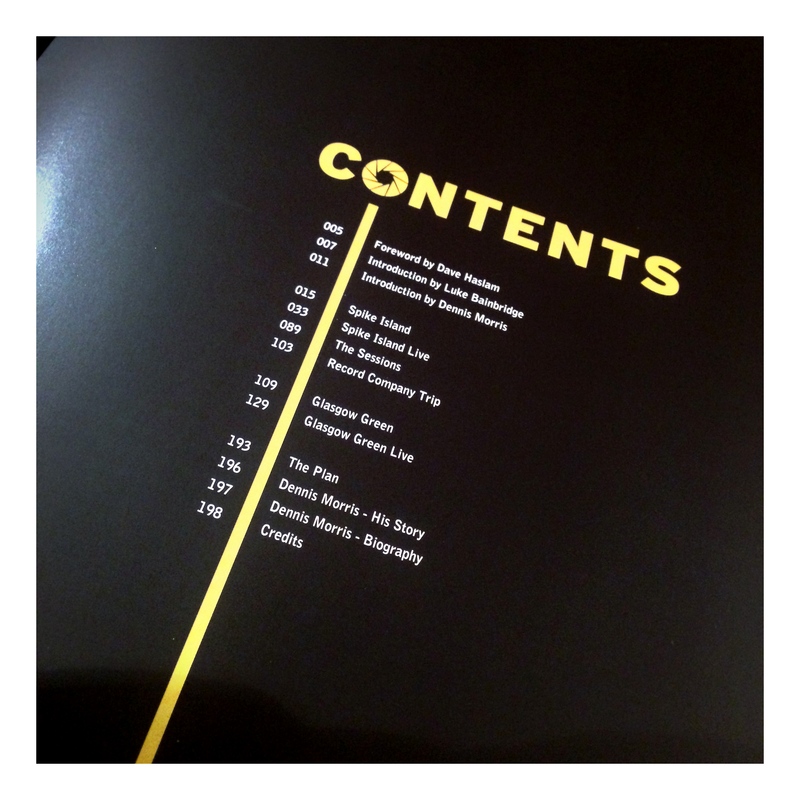 The collection features over 250 images, many never seen before, spread across 200 pages. The first thing that strikes you is book’s substantial weight and it’s immediately apparent that a lot of thought and attention has gone into the lavish packaging. A heavy weight solander book holder is wrapped in a protective card outer sleeve. 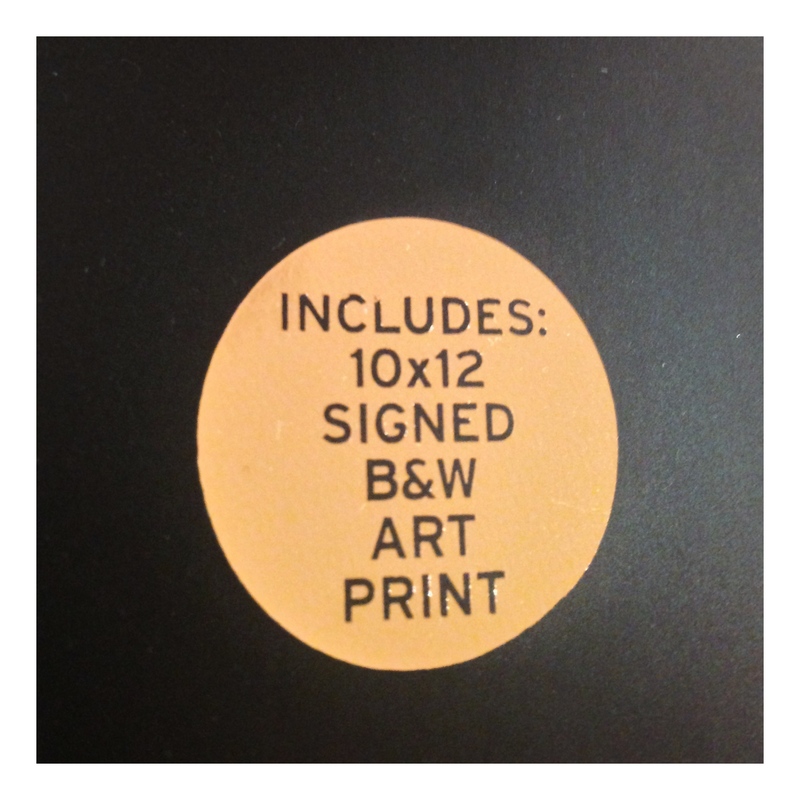 Both are mat black with gold embossed writing. 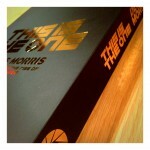 The outer slip case sleeve is a tight fit but serves to protect the book from knocks. 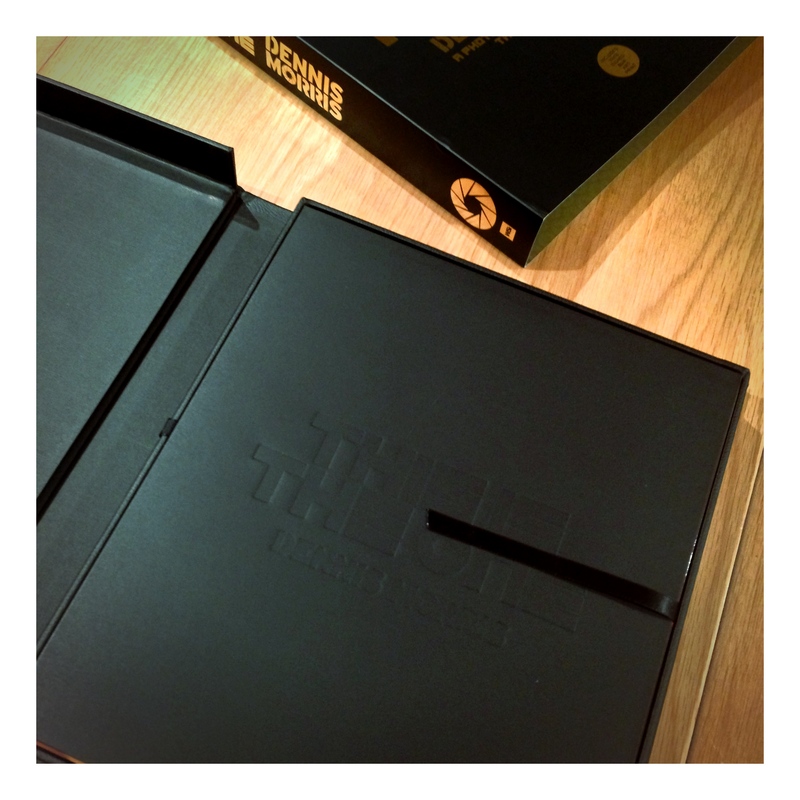 The book itself is presented within the weighty clamshell box and is set in the right hand side. The full colour glossy cover stands out against the black surround. Also contained within is a mat black card envelope. 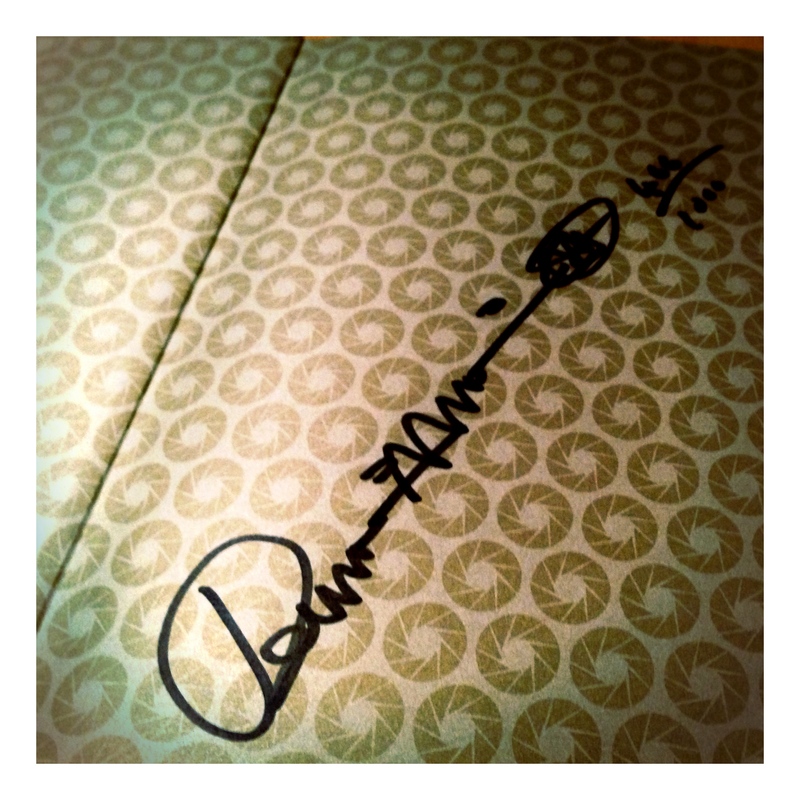 This contains the Dennis Morris signed and numbered 10×12 inch photo print of the band. 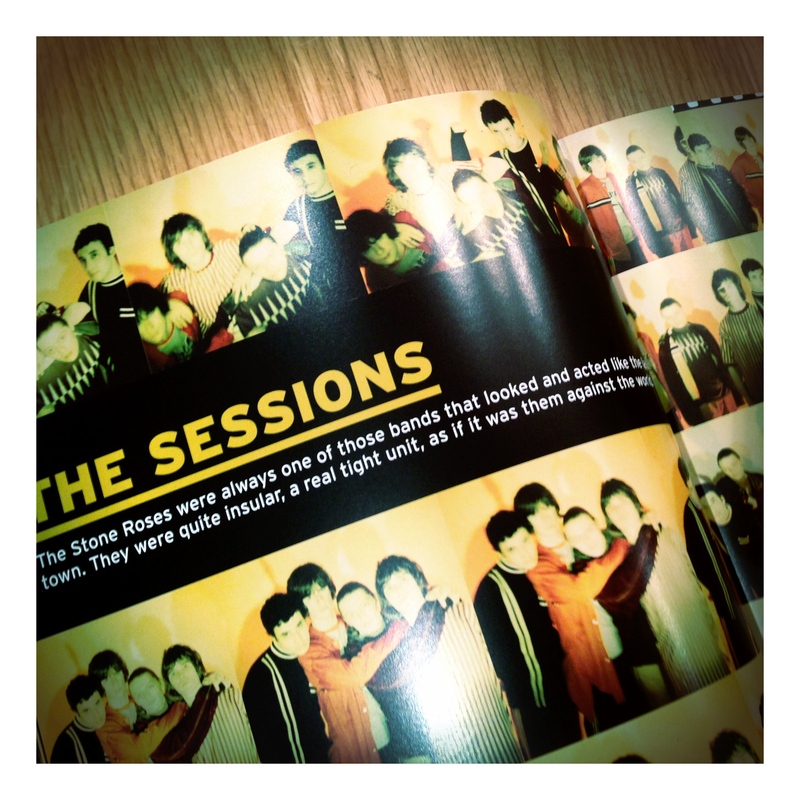 The studio style shot of the Roses looks very high quality and is particularly appealing. 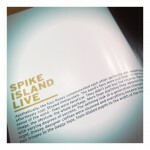 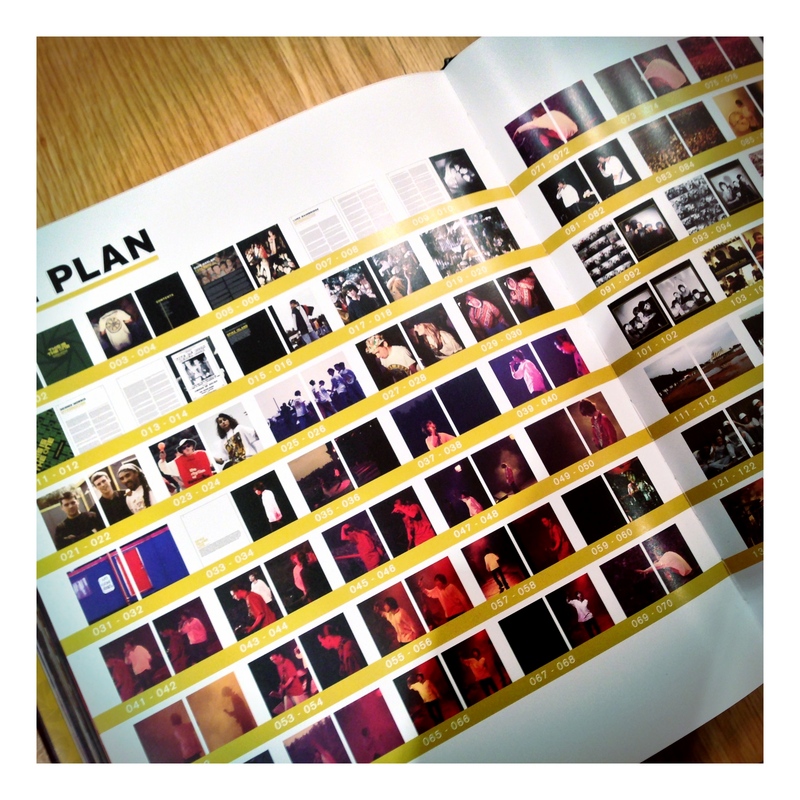 The book itself has a full colour, gloss finish wrap around book jacket featuring iconic images of Ian Brown on stage at Spike Island. 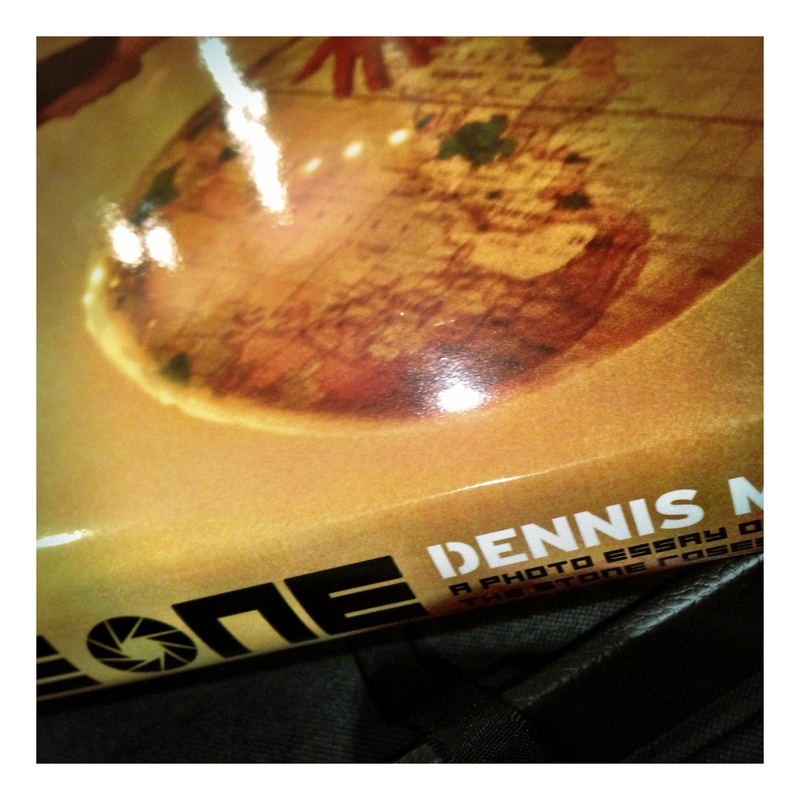 Onto the images themselves. Most are presented as full or double page spreads, with some of the studio images presented collage style. The selection of photos ranges from Morris’ early work with the Roses in the late ’80s through to more informal shots with the band just prior to the release of Second Coming. Alongside the studio shots, Dennis has comprehensively documented two of the Roses’ landmark gigs, Spike Island and Glasgow Green. 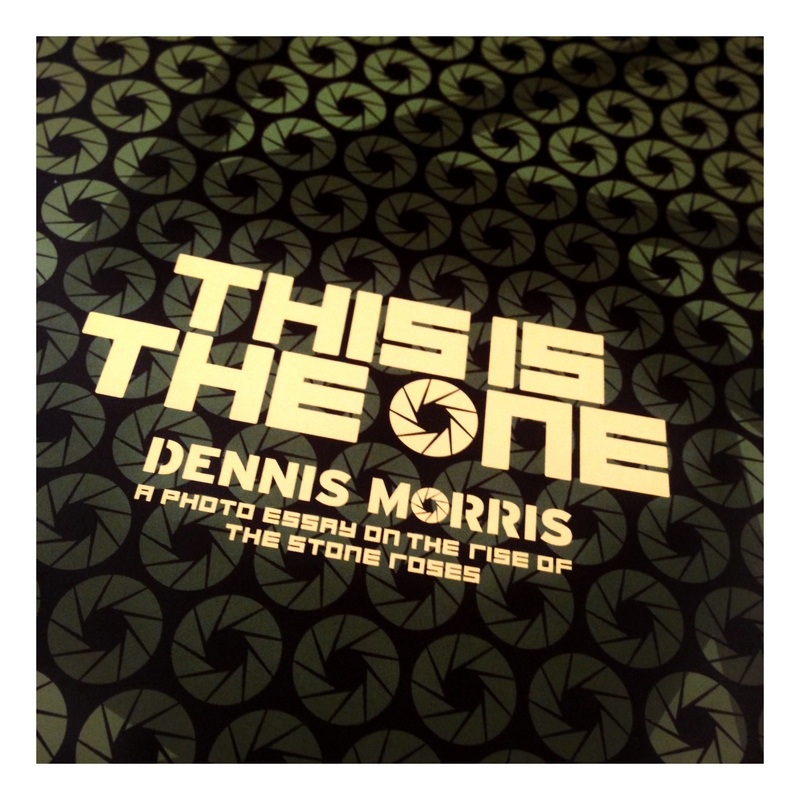 Not only does the collection feature extensive photography of the band on stage, Dennis’s collection also includes lots of scene setting fan shots and backstage images from the gigs. 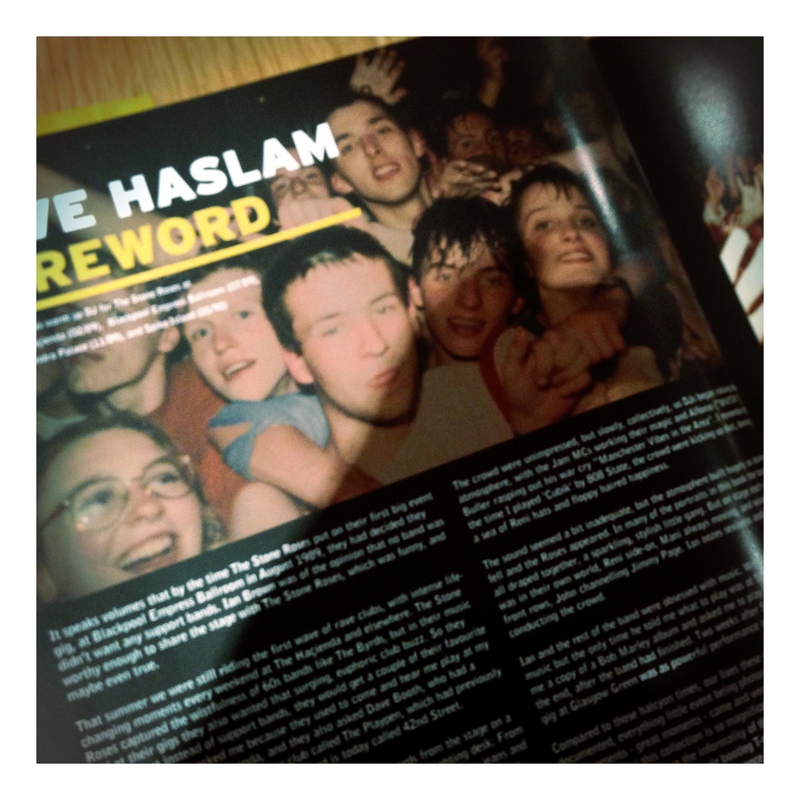 A forward from Luke Bainbridge and commentaries from Dave Haslam and Dennis himself, help give the images context and set the scene, but let’s be honest this is all about the photography. 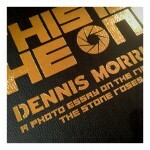 The book is a big investment but is must have for any serious Roses collector. 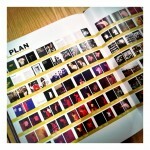 “This Is The One” can be purchased directly from the publisher at www.whosaidit.co.uk. 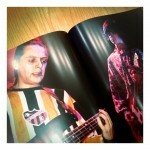 The RRP of the book is £295, but stay tuned for a special exclusive offer in the next few days. 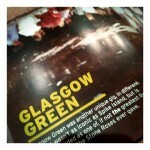 The Stone Roses have announced three new UK gigs in 2013. 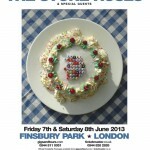 They will play two nights at London’s Finsbury Park (June 7 and 8) and one night at Glasgow Green on June 15. 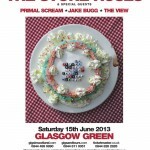 The supporting acts for the Glasgow show are Primal Scream, Jake Bugg and The View, with the London support slots still to be announced. 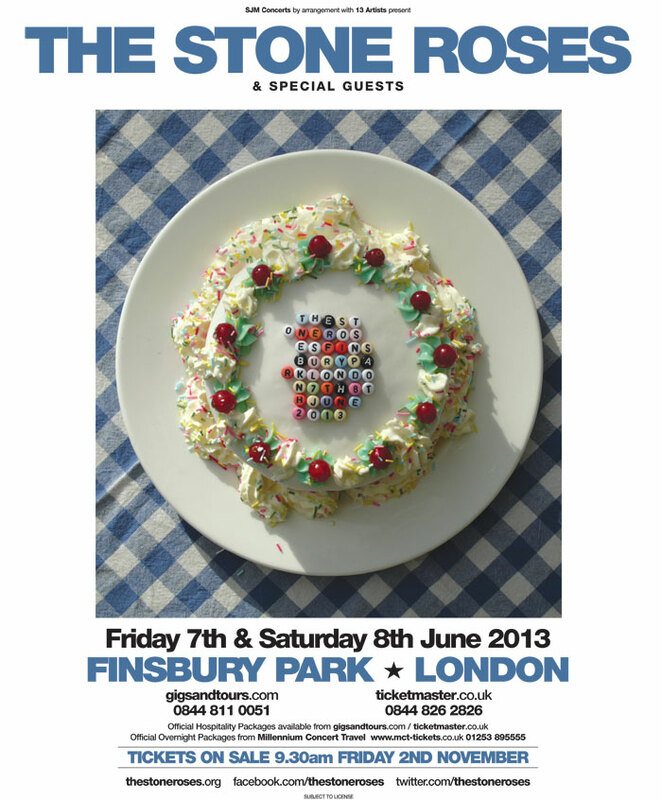 Tickets for all three shows go on sale at 9.30am on Friday November 2.